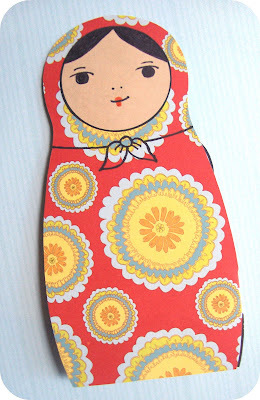 Today I felt like making a matryoshka doll card, for no particular reason. Sometimes it's nice to make something just for the fun of it. The hard part is finding the time. That's why I like making cards, they're quick and easy. Not to mention, all you really need is paper, scissors, and glue. This card is no different, it's quite simple to make. The most time consuming part is just the cutting. 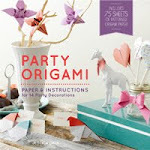 Right click, copy, and save on a 11 by 8 1/2 landscape size page. Print on the back side of printed card stock. I used my 12 by 12 scrapbook paper and just cut it down to fit in the printer. Once you print out the template, cut it out with scissors. It should look something like this. The back side of the card should look like this. As you can see, I cut on the outside edge of the black lines. Accordion fold the card (refer to picture). Make sure when folding the card that the second largest doll can not be seen behind the largest doll. It just fits behind the large doll so you have to fold it just right. Print circles out on a tan colored card stock. Draw faces as desired. 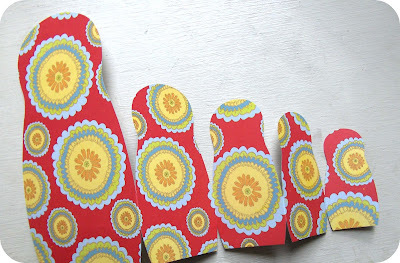 Glue to all the nesting dolls. Add details with black marker. This is where you can really add your artistic spin on the dolls. You could also add glitter, lace, gold paint, anything really. Have fun. *This card stands nicely on it's own (sorry no picture). This is so sweet - thanks for sharing. so cute. My little girl will love this since she got a set of dolls for her birthday. I love this! You make one amazing thing after another! My grandmothers would have LOVED this card. This is so stinking adorable! Thanks! Beautiful card! What a fantastic idea. Fabulous idea! I can see a whole border of them running around a room . . .
Best wishes and have a nice day with happiness! Oh wow! This is fantastic! I love these ladies! Thanks so much, I'll be linking. Thanks for so generously sharing your gorgeous card. I just created one of my own thanks to you!!!!!! I LOVE your blog! =) I am totally adding you to my faves! Thank you for the template for this! bookmarked. 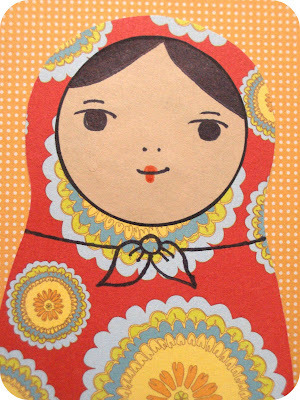 i'm IN LOVE with nesting dolls. These are great! Thanks for sharing the template. I made a bunch up for Christmas cards. I posted a picture of them on my blog today. Thank you for the inspiration! 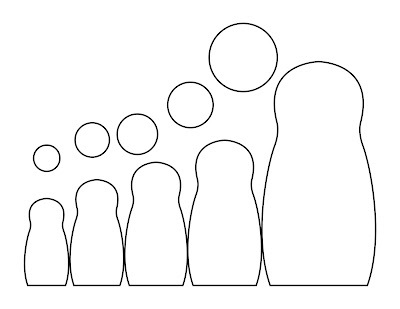 I may try your idea using snowmen shapes, melting snowmen...? LOVE IT! 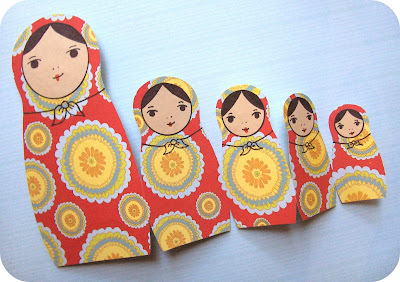 :) I'm sure my girls will love it to as they're nesting doll fans. Thanks. Fun! 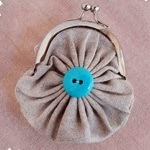 I'll be making these. The dolls were soooo cute! 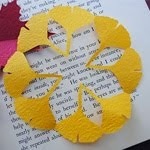 Thanks for a wonderful idea - simple (now then I know how to do it) but oh so very sweet. It´s a "must-do". Making these today with my 6th graders, thank you so much for sharing your creativity! Awesome! I work at a Public Library and have a folktale story time Thursday Evenings. 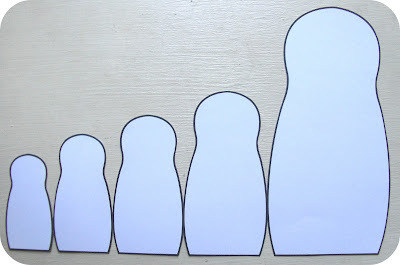 I'm doing Russia tonight and was having a hard time coming up with a craft idea. You hit it right on the nail. Thank you so much for the wonderful idea. What a fantastic idea, I am going to use it as a shower invitation for my sister who married a Russian man. Thank you for posting! Me gustan mucho tus trabajos, son preciosos. Esas tarjetas están de cine. Love this~thank you for sharing with us! 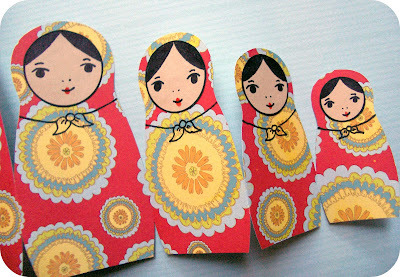 This nesting doll card design is so sweet & so clever. Thanks for sharing the template too! This is so adorable. I'm doing in on a wall paper sample I have. 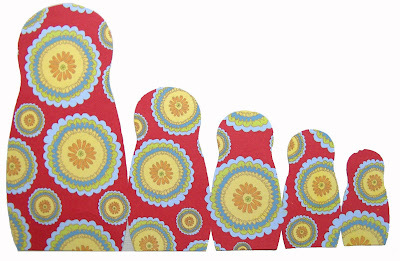 Its my mother in law's BDay this friday and she loves nesting dolls! Thanks for sharing! We're studying Russia for International Day (grade 4). This will be a great project. I'll let them decorate the card stock. My daughter and I will be studying Russia in homeschool this year and this is the perfect project to compliment our lessons!